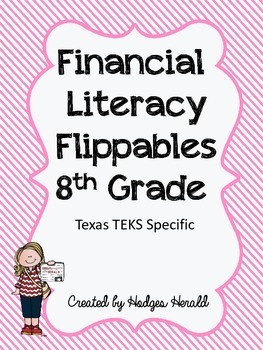 Seven flippables and activities for our TEXAS teachers to help teach financial literacy. 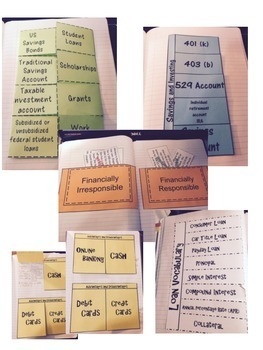 Skills include vocabulary for loans, ways to save, options for paying for college. 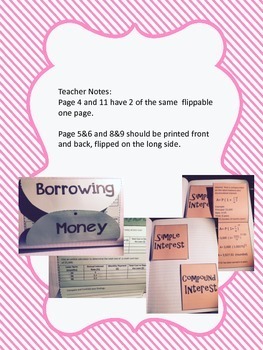 Activities for simple and compound interest and borrowing money. 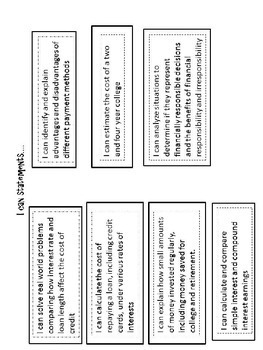 Plus making responsible or irresponsible financial decisions.